Brazil's meter gauge Rio Grande do Sul should have become the railway to Uruguay. Beyond its last station Sant' Anna do Livramento, at Rivera, started the British-owned standard-gauge Central Uruguay Railway (CUR) to Montevideo. A line to Colonia shortened the La Plata boat travel to Buenos Aires. In 1952 the various railways were intergrated into the state-owned AFE, which had got the only modern steam locomotives, 2-10-0s from Henschel, too heavy for the poor network. A link with Argentina's General Urquiza line was established at Concordia in 1982. At that time the sleeping car Montevideo - Rivera no longer had any connection in Brazil. In 1988 all passenger services were stopped, but surprisingly in 1993 old railcars from Brill and then newer ones from Ganz rescued services to Rivera. In the new century only Montevideo locals survived. An international railway from Brazil to Paraguay should have been built by the Brazil Railway Company. The Railway Gazette (Sept. 6, 1912) reported: "The Company's plans also provide for an extension to the Paraguayan border, which will connect with an easterly extension of the Paraguay Central Railway, and provide a direct outlet from Asuncion to the Atlantic Ocean". Still bigger dreams had announced The Railway Gazette a year before (May 26, 1911): "The extension of the Trans-Paraguayan Railway marks one of the most important undertakings… At present the main line of this railway has been constructed from Santos, Brazil, to a point near the celebrated Iguazu Falls… but the proposed extension will lead it through the great quebracho, or ironwood, districts of Paraguay, Argentina and Bolivia. It will also place these countries in direct railway communication with Brazil and Chile". Paraguay under President Carlos Antonio Lopez had completed the first railway in 1861, a 5ft6in broad gauge from Asuncion to Sapucay. Under the president's son however the country fought a disastrous war and only in 1910 railway building was started again. As the Nord-Este Argentino had reached neighboring Posadas using standard gauge, British-owned Ferrocarril Central de Paraguay decided for standard gauge, too. In 1913 both railways were linked by the Argentinian train ferry crossing the Rio Parana between Posadas and Pacu Cua (near Encarnacion). It remained the only international connection and its train was "El Internacional". 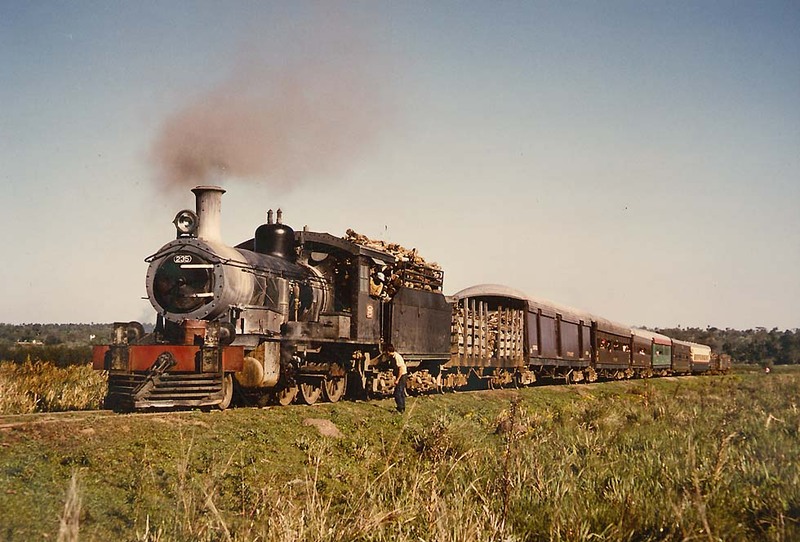 In 1961 the railway in Paraguay was saved by the government, then named Ferrocarril Presidente Carlos Antonio Lopez (FCPCAL). 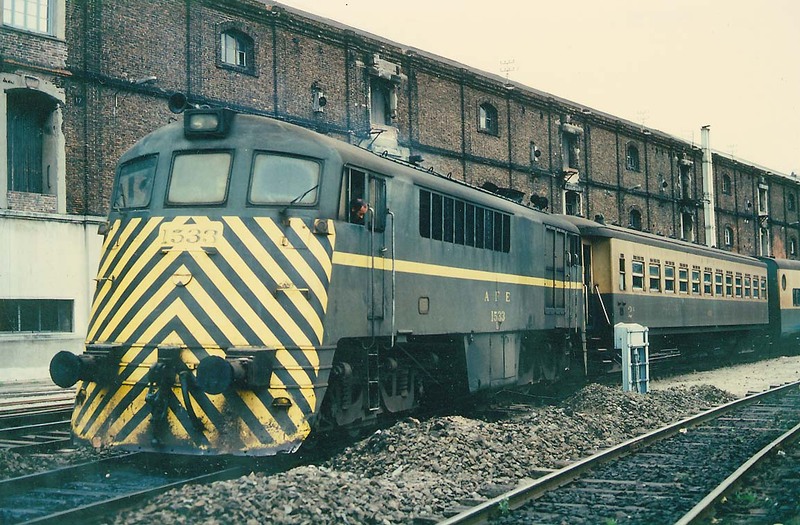 "El Internacional" until 1972 had a wooden sleeper, and then modern Argentinian cars connected Buenos Aires with Asuncion. In Paraguay among the wooden cars from 1910, built in Birmingham, the diner still did run, now with red/brown/green colors. A natural disaster in 1983 temporarily interrupted the connecting El Gran Capitan on the Argentinion General Urquiza line. About the train-ferry between the two countries Roy Christian and Ken Mills wrote in World of South American Steam: "When leaving Paraguay, the through train to Argentina has its 2-6-0 replaced with a 2-6-2T at the station and then heads toward the river down the length of a Encarnacion street before rolling downhill via a switchback to the ferry terminal at Pacu-Cua. Here the coaches are lowered singly down an incline with a steam-operated winch and cable onto the two-track ferryboat ". From 1989 the trains used the magnificent new Parana bridge. After Argentina "killed" passenger traffic in 1993, El Internacional in Paraguay, now a national mixto, soon was stopped - until its end hauled by the wood-fired steam locomotives, 2-6-0s from 1910, then supplemented by 4-6-0s ex-General Urquiza. Colors: FCPCAL wood, 2.a blue/light grey, FA blue/light grey. FCPCAL locomotive black.